Anchor Bay Release Extended Clip from Ami Canaan Mann’s 'TEXAS KILLING FIELDS'! Anchor Bay have released an extended clip from Ami Canaan Mann’s [Michael's daughter] crime thriller Texas Killing Fields. The movie, based on true events focuses on a New York City detective [Jeffrey Dean Morgan] who partners with a Texas police officer [Sam Worthington] in order to hunt down a serial killer who dumps his victims bodies in a marsh known to the local as a the 'killing fields'. The investigation becomes even more intense when the killer kidnaps a young local girl [Chloe Moretz]. Texas Killing Fields also stars Stephen Graham, Jessica Chastain & Jason Clarke. The movie hits theaters this October 14th. 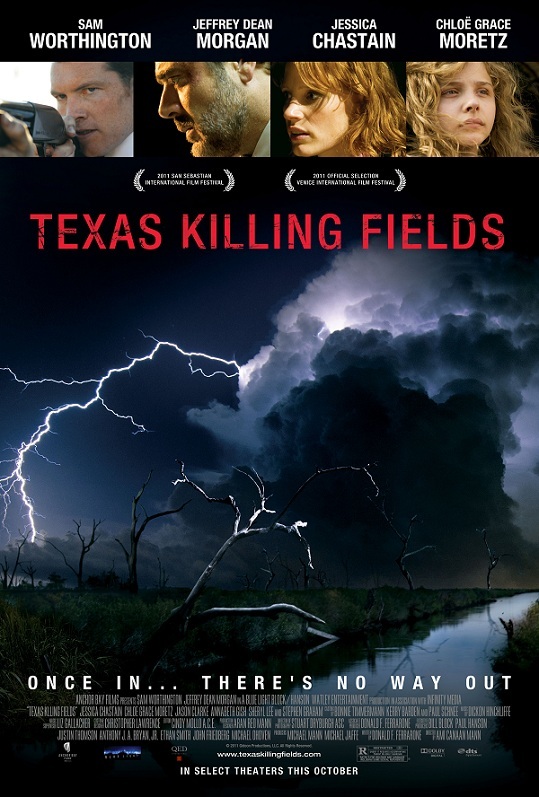 I'm reading: Anchor Bay Release Extended Clip from Ami Canaan Mann’s 'TEXAS KILLING FIELDS'!Tweet this!